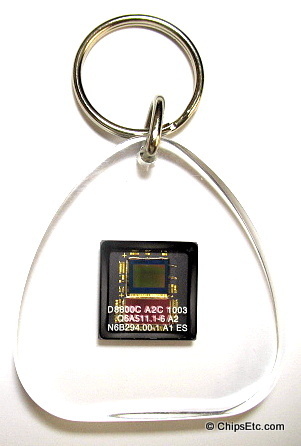 Lucite keychain featuring the Pixim D8800C digital imaging chip know as "Seawolf". 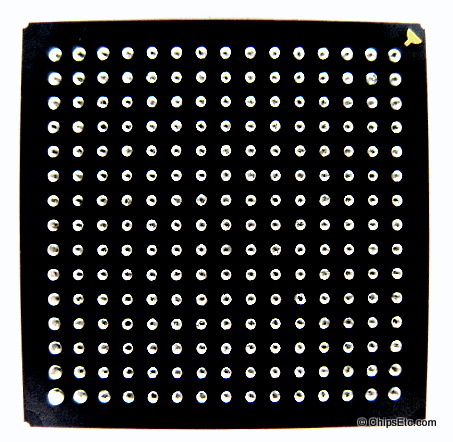 This particuliar example is marked Engineering Sample, and offered in Ball Grid Array (BGA) packaging. 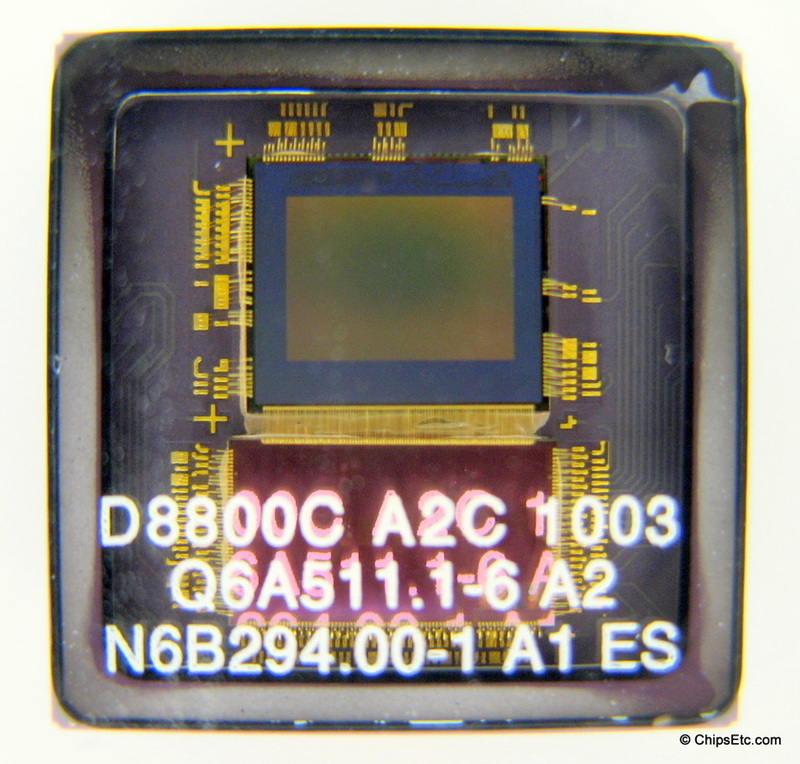 The Seawolf chipset was made up of a 17-bit image sensor and 32-bit image processor pipeline. This CMOS chipset was designed by Pixim, but the manufacturing of the semiconductor chips was contracted out to Taiwan Semiconductor. Pixim's Digital Processing System (DPS) provided dramatically improved wide dynamic range (WDR) video images more than charge-coupled device (CCD) or CMOS active pixel sensors (APS). 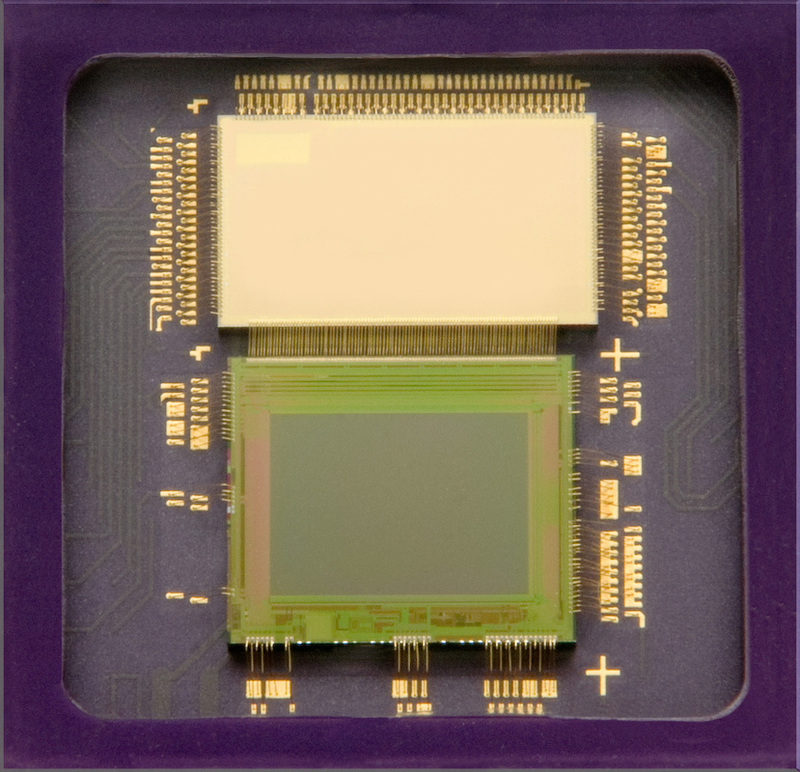 The biggest difference between the Pixim DPS all-digital chips and standard analog CCD chips is that digital sensors read signals in ones and zeros from each pixel individually, and each pixel is self-adjusting to lighting levels using it's individual ADC (Analog to Digital converter). 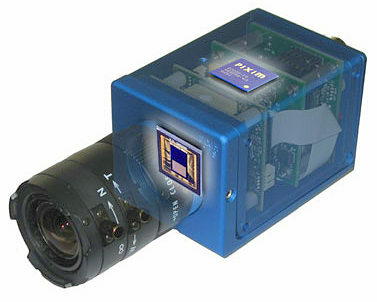 With analog CCD sensors, signal readout is analog voltage, which is converted to digital signals which affects image quality. Pixim's DPS pixels, however, are never analog, but always digital. The pixels go directly from sensor, to image processor, to the video display or network.